Select the "Times" tab in the top menu, then schedule the time you&apos;d like the event to start (ensure that the start time is the same as the start time of you scheduled BoxCast Stream). If you have recurring BoxCast streams scheduled, you may also schedule recurring events here to align Church Online Platform with those streams. 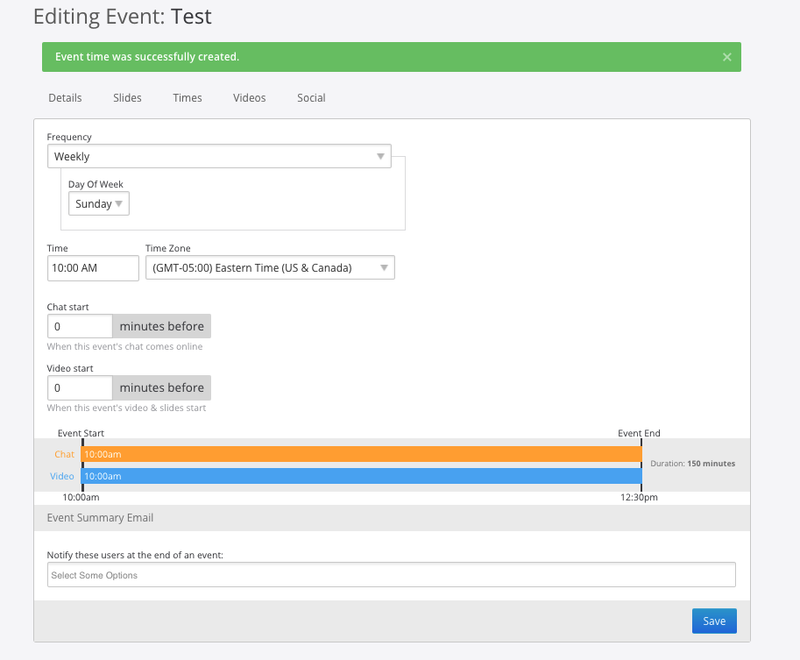 Simply set the "Frequency" and "Day of Week" to align with the scheduled times of your recurring streams. Finally, click Save. 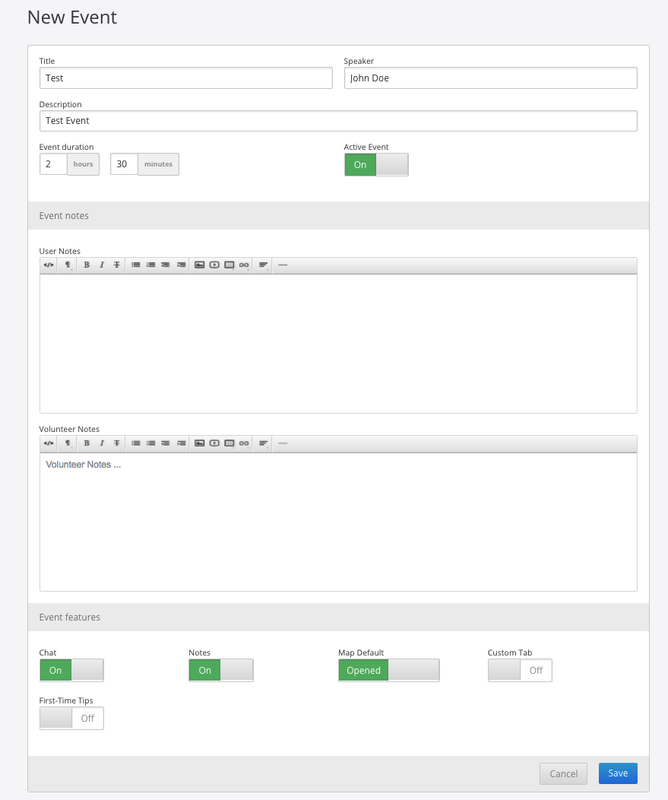 Copy your BoxCast Embed Code from the "Embed" section in BoxCast Dashboard. Optional: Select any pre-event features (Countdown Timer, Customer Poster Image, or Custom Pre-Event Video) you&apos;d like to include to display before your stream begins. Select the "Videos" tab at the top of your page, and then select "Streaming provider". 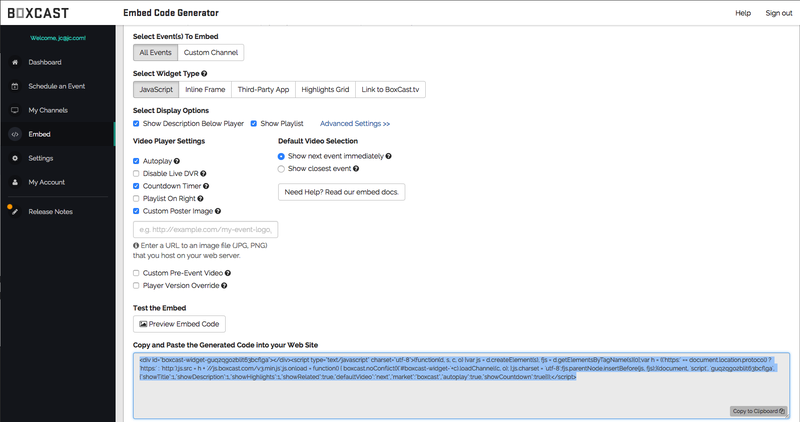 Then, paste your BoxCast Embed Code into "Default video embed code" in both the web and mobile sections. 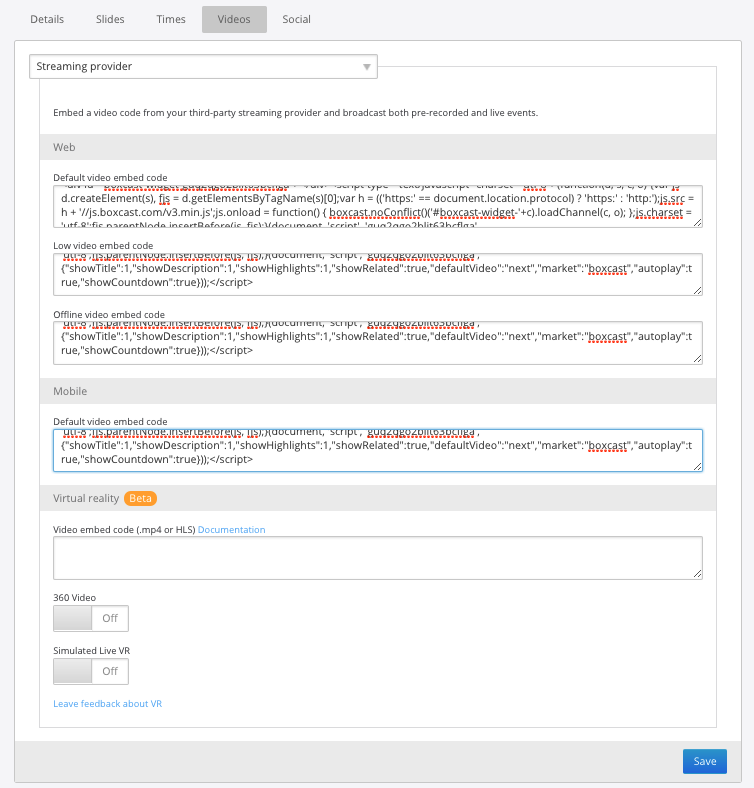 Optional: If you&apos;d like to use all the pre-event features of the embed widget, you&apos;ll need to paste the same embed code in all four boxes (as shown below).